Nur is a specialist physician in respiratory and sleep medicine. Nur is a fellow of the Royal Australasian College of Physicians (FRACP) and is accredited in both Respiratory and Sleep Medicine. 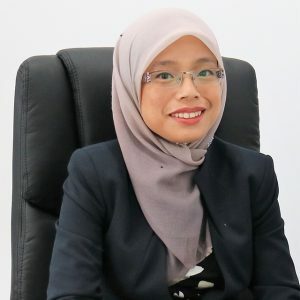 She graduated from University of New South Wales, Sydney in 2010 before undertaking her Basic Physician Training and Advanced Training in South Australia. Nur has presented at several national conferences and was recently awarded with the best Sleep Fragment submission of 2017 by the American Thoracic Society. Nur provides specialist management of all aspects of respiratory disorders such as COPD, asthma, bronchiectasis, pulmonary fibrosis, lung cancer, chronic cough and sleep disorders such as obstructive sleep apnoea, insomnia, chronic respiratory failure, Circadian rhythm disorder and restless leg syndrome. Nur is also trained to do bronchoscopic and pleural procedures including tunnelled pleural catheter. ©2019 Norwood Specialist Clinic. Website designed and developed by PK Design.